Elizabeth Spaits Cizinsky serves as the program manager at Scale Up Milwaukee, where she oversees and manages all aspects from conception to execution of Scale Up Milwaukee programs and events, including the Scalerator. Elizabeth also directs all program evaluation and economic research. She earned her degree in economics and political science from Marquette University. 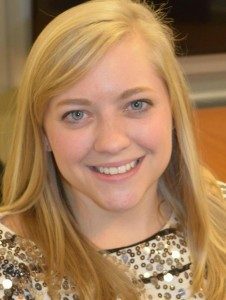 Prior to joining the GMC, Elizabeth spent two years with Children’s Hospital of Wisconsin as a development coordinator in the Foundation. She has worked with several other local nonprofits, including Feeding America Eastern Wisconsin and the Milwaukee Zoological Society. Elizabeth has also conducted research at Marquette University Law School and spent a semester of college interning in the U.S. House of Representatives in Washington, D.C. In addition to her work with Scale Up Milwaukee, Elizabeth spends time with her Little Sister through Metro Milwaukee’s Big Brothers Big Sisters program, and remains engaged with her sorority Sigma Kappa at Marquette University. Elmer Moore Jr. is the executive director of Scale Up Milwaukee. 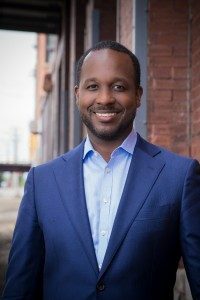 He came to Milwaukee as the director of business development for Allen Edmonds Corporation, a manufacturer and retailer of premium men’s footwear, apparel, and accessories. He previously led multicultural student recruitment as associate dean of admissions at Bowdoin College in Brunswick, Maine, and has traveled extensively speaking and teaching on the topics of admissions, diversity and public speaking. Elmer also teaches entrepreneurship at Marquette University. Elmer serves on the board of Secure Futures, , an organization teaching financial literacy to teens. He earned his B.A. from Muhlenberg College in Allentown, PA, and his MBA from Columbia Business School in New York City.